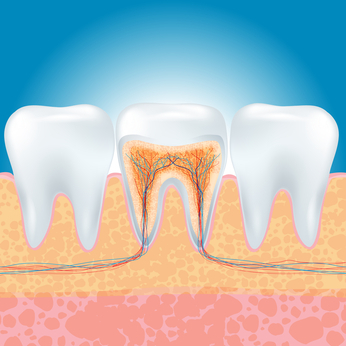 When the nerve of a tooth has decay, root canal treatment is often necessary to save the tooth. The bacteria, nerves, and pulp are replaced with dental materials to restore the tooth to its natural function. Non-toxic dentists don’t all agree on whether performing root canals is the best solution, but the goal of the following is to provide some real information so you can make an informed choice. Looking into the history of root canal procedures, then looking at how they are performed now can help in making a rational decision about whether a root canal is right for you. As far back as the first century, surgeons would drill holes to drain teeth that were causing pain. The first actual root canal, though, was performed in 1756 by Philip Pfaff. His method involved filling painful teeth with gold. By the 1950s and 60s, the success rate of root canal procedures was climbing, reaching as high as 80 percent. By then it was understood that a successful procedure might mean a tooth could remain usable for years more. In 1963, the field of endodontics developed, and this field is the one that teaches and advances root canal therapy today. make it possible to maintain arch integrity so teeth don’t widen apart. When teeth are missing, a variety of complications occur, including teeth trying to move to fill in gaps left behind by absent teeth. There are negative points, though, as well. With no blood supply inside the tooth, it is susceptible to infection. The tooth can also lose its structural integrity, meaning that a crown is necessary to hold it together. If you have immune system issues, other serious complications are possible. The first thing to take into consideration if you’re considering a root canal is your overall health. 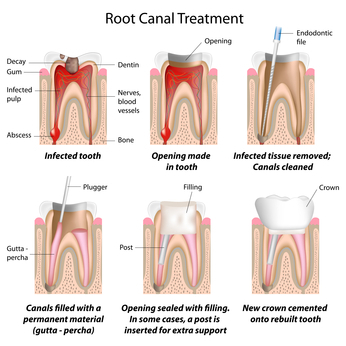 If you have a strong immune system and no health problems, root canal treatment might be acceptable. Still, it’s sensible to choose a biocompatible root canal. If you choose instead to have the tooth removed, there are options for maintaining arch integrity unless the tooth is, for example, a back molar with no teeth opposing it. That means there’s no arch issue and no reason to replace it. Most teeth must be replaced, however, and a fixed bridge is an option. This means the teeth on each side of a missing tooth are covered with crowns and a fake tooth fills -- or bridges -- the gap. Biocompatible, non-metallic bridges are available, but this kind of procedure compromises the teeth on each side of the gap. If they’re already damage and a crown makes sense for those teeth, a fixed bridge may be recommended to improve the overall dental situation. Also available is a Maryland Bridge that involves less damage to the adjoining teeth, but these bridges may come loose and have to be reset multiple times. A removable bridge is the most economical root canal alternative, but taking such a bridge in and out can be a hassle. Perhaps the biggest problem with traditional root canal therapy is the filler usually used, called gutta percha. This rubber sealer is highly toxic and doesn’t get along well with the moisture in the mouth. That means the seal can break near the canal bottom, allowing root canal infection. This material also doesn’t fill accessory canals within the tooth well, leading to problems there as well. A better calcium hydroxide sealer is now available, however, that even encourages the formation of new bone. That’s clearly better and more biocompatible than the toxic rubber sealer. This sealant has another benefit: it swells when moisture is around, causing it to seal better, not come loose. The most common brand of this sealant is Bee Sealer, and it has a pH of 12.8, another significant advantage. Also, it doesn’t become completely solid for a couple of days. Because of this, the material continues its work sterilizing long after the root canal therapy is complete. Any pH above 12 destroys bacteria, according to recently published research. Is a biocompatible root canal procedure always a smart choice for your mouth? No. Many things must be taken into consideration, especially including your overall health. If you have any condition that compromises your immune system or other long-term health issues, avoiding root canals makes sense. But if you’re completely healthy, a root canal may be a sensible way to deal with a damaged tooth. Extracted teeth often need to be replaced, so considering whether a root canal is a good idea involves considering what you will do to fill the gap once the tooth is removed as well. There are options, but not all of them are a good idea in all situations. 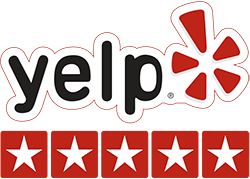 If you live in the San Diego area, Dr. Woods can work with you to reach a sensible conclusion. As an authority in Non-toxic dentistry, he can explore a wider range of options, and help create a treatment plan tailored to your needs. Having a root canal procedure isn’t a decision you should take lightly – call to schedule a free consultation with Dr. Paige Woods, DDS: (619) 640-5100.